If your a Crown Heights resident chances are that by now you received a frantic call from a Meshichist Bocher whose being employed by Menachem Mendel Hendel, asking you if you can take in as guest a ‘family’ for the month of Tishrei. One Crown Heights resident received such a phone call and shared that conversation with me. The following conversation is based on what was related to me. It’s not word for word…I’m paraphrasing. Eshel: Hello Mr. Crown Heights resident, I’m calling from Eshel Hachnosas Orchim and I’m hoping you can be so kind and assist us. CH Resident: Hello, how may I assist you? Eshel: As you know we are involved in making sure the guest that come for Tishrei are housed and feed. However, there are whole families which have arrived and we don’t have where to lodge them. This is where you come in, would you be so kind as to host a family for Tishrei? CH Resident: Don’t you have a big building on Kingston Ave. designed for this purpose, why not host them there? Eshel: Yes we do, however the building is so full to capacity we couldn’t even insert a needle there. 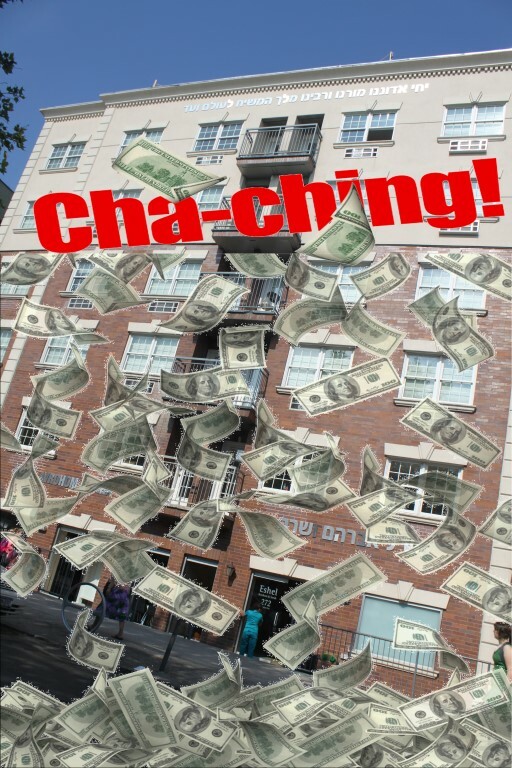 CH Resident: And those who are staying at the Eshel Hachnosas Orchim building are they there for free or are they paying? Eshel: Um um, I think they are paying. CH Resident: Isn’t this a Chutzpa? You are calling me to ask as to wheather we can take in an entire family for free for an entire month (who by the way had the funds to come here in the first place), but in your own faculty you are charging guest to stay? CH Resident: I’ll tell you what. I have four available rooms in my home, go back to your boss and tell him that I’m ready to host “his guest” if he pays me what he charges “his guest” that are lodging at his hotel. Eshel: Fine. If you won’t host any guest can you at least give a small donation? CH Resident: I give plenty to the guest. I support with food and money those who come here to learn and go to the Ohel. I don’t support those who come here to make business selling decorations, Lulavim and Estrogim. The point is self understood. Mendel Hendel’s Eshel Hachnosas Orchim: Charity or Business? 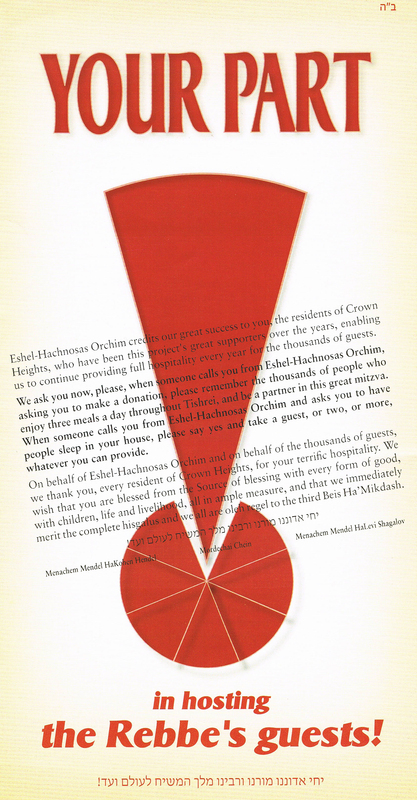 Mendel Hendel – Eshel Hachnosas Orchim, Inc. This entry was posted on September 24, 2015 at 10:56 pm and is filed under Our Glorious Shmira. You can follow any responses to this entry through the RSS 2.0 feed. You can leave a response, or trackback from your own site. If you donate to this fraud of an organization you are nothing but a fool. there are families in Crown Heights which have nothing to eat, no new clothing for children for yom tov, they definitely can’t offered to send their children overseas etc… there are organizations in Crown Heights which try to help them but are unfortunately, cash strapped. Take care of your own community!! !